The creation of long platinum nanowires at the University of Rochester could soon lead to the development of commercially viable fuel cells. Described in a paper published today in the journal Nano Letters, the new wires should provide significant increases in both the longevity and efficiency of fuel cells, which have until now been used largely for such exotic purposes as powering spacecraft. Nanowire enhanced fuel cells could power many types of vehicles, helping reduce the use of petroleum fuels for transportation, according to lead author James C. M. Li, professor of mechanical engineering at the University of Rochester. "People have been working on developing fuel cells for decades. But the technology is still not being commercialized," says Li. "Platinum is expensive, and the standard approach for using it in fuel cells is far from ideal. These nanowires are a key step toward better solutions." The platinum nanowires produced by Li and his graduate student Jianglan Shui are roughly ten nanometers in diameter and also centimeters in length�long enough to create the first self-supporting "web" of pure platinum that can serve as an electrode in a fuel cell. 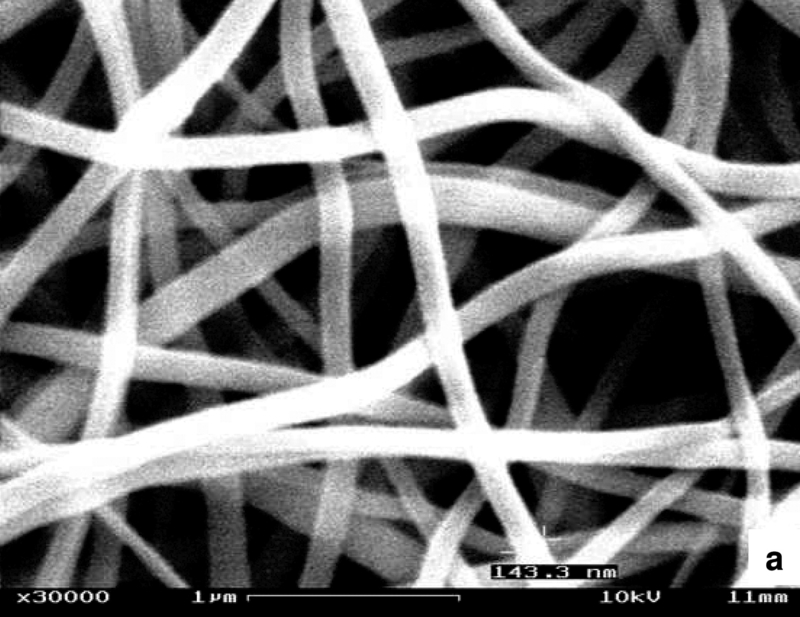 Much shorter nanowires have already been used in a variety of technologies, such as nanocomputers and nanoscale sensors. By a process known as electrospinning�a technique used to produce long, ultra-thin solid fibers�Li and Shui were able to create platinum nanowires that are thousands of times longer than any previous such wires. "Our ultimate purpose is to make free-standing fuel cell catalysts from these nanowires," says Li. Within a fuel cell the catalyst facilitates the reaction of hydrogen and oxygen, splitting compressed hydrogen fuel into electrons and acidic hydrogen ions. Electrons are then routed through an external circuit to supply power, while the hydrogen ions combine with electrons and oxygen to form the "waste" product, typically liquid or vaporous water. Platinum has been the primary material used in making fuel cell catalysts because of its ability to withstand the harsh acidic environment inside the fuel cell. Its energy efficiency is also substantially greater than that of cheaper metals like nickel. Prior efforts in making catalysts have relied heavily on platinum nanoparticles in order to maximize the exposed surface area of platinum. The basic idea is simple: The greater the surface area, the greater the efficiency. Li cites two main problems with the nanoparticle approach, both linked to the high cost of platinum. First, individual particles, despite being solid, can touch one another and merge through the process of surface diffusion, combining to reduce their total surface area and energy. As surface area decreases, so too does the rate of catalysis inside the fuel cell. 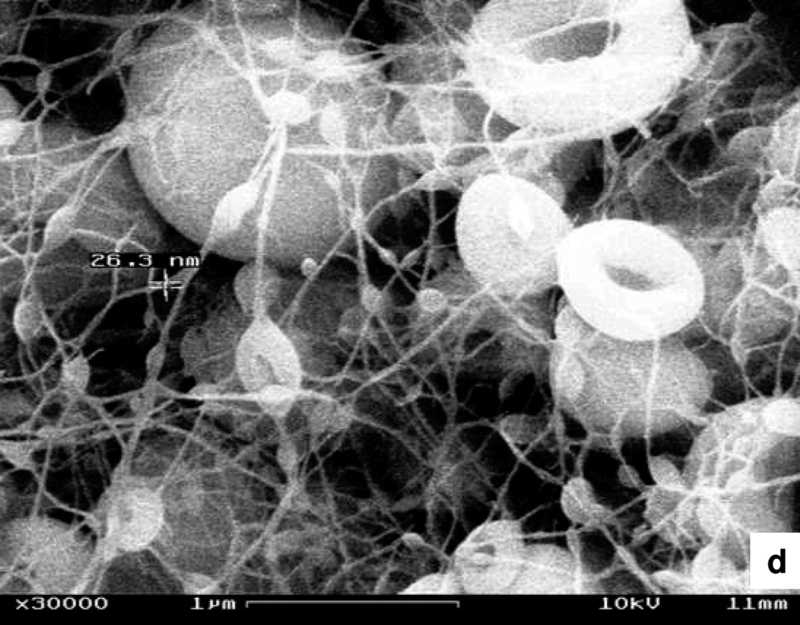 Second, nanoparticles require a carbon support structure to hold them in place. Unfortunately, platinum particles do not attach particularly well to these structures, and carbon is subject to oxidization, and thus degradation. As the carbon oxidizes over time, more and more particles become dislodged and are permanently lost. Li's nanowires avoid these problems completely. With platinum arranged into a series of centimeter long, flexible, and uniformly thin wires, the particles comprising them are fixed in place and need no additional support. Platinum will no longer be lost during normal fuel cell operation. "The reason people have not come to nanowires before is that it's very hard to make them," says Li. "The parameters affecting the morphology of the wires are complex. And when they are not sufficiently long, they behave the same as nanoparticles." One of the key challenges Li and Shui managed to overcome was reducing the formation of platinum beads along the nanowires. Without optimal conditions, instead of a relatively smooth wire, you end up with what looks more like a series of interspersed beads on a necklace. Such bunching together of platinum particles is another case of unutilized surface area. "With platinum being so costly, it's quite important that none of it goes to waste when making a fuel cell," says Li. "We studied five variables that affect bead formation and we finally got it�nanowires that are almost bead free." His current objective is to further optimize laboratory conditions to obtain fewer beads and even longer, more uniformly thin nanowires. "After that, we're going to make a fuel cell and demonstrate this technology," says Li.